Background Invasive infections with Pseudomonas aeruginosa (PA) are associated with significant morbidity and mortality. While risk factors for mortality have been identified, their influence on short-term outcomes impacting treatment selection has not been reported. Objectives The objective of this study was to evaluate the relationship between select patient- and treatment-related factors and short-term outcomes in patients with PA pneumonia and/or bacteremia. Setting Large academic medical center in the United States. Methods This IRB-approved single-center, retrospective case-cohort study included patients >18 years of age with culture-confirmed PA bacteremia and/or pneumonia receiving antimicrobial agent(s) active against PA. Main Outcome Measure Risk of unfavorable short-term treatment result. Results The population consisted of 117 patients (40 [34 %] and 77 [66 %] in the unfavorable and not-unfavorable groups, respectively). Baseline characteristics including age (mean of 63 years), gender (55 % male), Charlson score, creatinine clearance, and body mass index were comparable between groups. Piperacillin/tazobactam was the most common monotherapy antibiotic (46 and 33 % in unfavorable and not-unfavorable groups, respectively). Combination therapy primarily consisted of a beta-lactam plus ciprofloxacin in both unfavorable (10 %) and not-unfavorable (20 %) outcome groups. The preliminary regression model indicated that SIRS, direct ICU admission, and vasopressor therapy were associated with an unfavorable outcome. In addition, patients who received more than two active antimicrobials had a reduced risk of an unfavorable outcome. The final regression model revealed that vasopressor therapy (odds ratio [OR] 6.0; 95 % confidence interval [95 % CI] 2.3, 17) was associated with an unfavorable outcome, while receipt of greater than two active antibiotics was associated with a reduced risk of an unfavorable outcome (OR 0.26; 95 % CI 0.07, 0.83). Conclusions Treatment with more than two agents with activity against PA was associated with a reduced risk of an unfavorable short-term treatment outcome in patients with bacteremia and/or pneumonia. This study was presented as a poster at the 2013 ACCP Annual Meeting, Albuquerque, NM October 12th–16th. 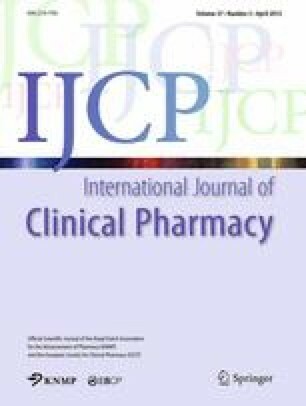 The authors would like to acknowledge Melissa Johnson, PharmD, AAHIVP for her contribution regarding the statistical analysis used for this project. This research was conducted without special funding. Authors of this manuscript have no relevant disclosers concerning possible financial or personal relationships with commercial entities that may have a direct or indirect interest in the subject matter of this publication.